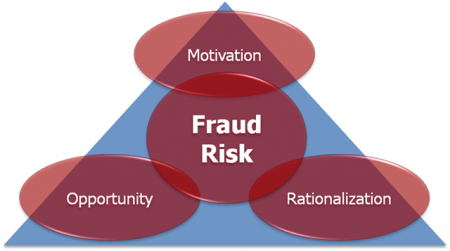 Fraud occurs when someone gains something of value, usually money or property, from a victim (individual or entity) by a deliberate misrepresentation of a matter of fact, thus obtaining an unauthorized benefit. Fraudulent disbursement - payroll, expense reimbursement, billing. Inappropriate use of records or removal of equipment. The Institutional administration encourages employees at all levels to report fraud, waste or abuse of institution assets using established policies and procedures.